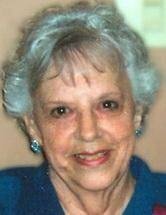 CEDAR FALLS — Kathryn Barfels, 80, of the Cedar Falls Western Home, formerly of Wyoming, Reinbeck and Grinnell, died at the home Friday, March 12, from complications of Alzheimer’s disease. She was born Jan. 11, 1930, in Waterloo, daughter of Edward and Pauline Johnson Schwartz. She married Leo Barfels on March 26, 1949, at the Little Brown Church, Nashua. Mrs. Barfels graduated from Waterloo West High School in 1948. Survived by: her husband; a son, Danny (Kathy) of Cedar Falls; two daughters, Sandra (Charlie) Weaver of Orlando, Fla., and Susan Soderberg of Laramie, Wyo. ; seven grandchildren, Kristen (Mark) Oliver, Ashley (Aaron) Prieksat, Natalie (Joseph) Spivey, Tyler (Kim) Weaver, Nels Soderberg, Hanni Soderberg and Dane Soderberg; two great-grandchildren, Maxwell Oliver and Sierra Soderberg; two sisters, Dorothy (Dale) Tupy of Wooster, Ohio, and Linda (David) Hazlet of Grundy Center; and two sisters-in-law, Talea Schwartz of Waterloo and Nadine (Bob) McCrary of Bettendorf. Preceded in death by: a brother, Paul "Bud" Schwartz. Memorial services: 7 p.m. Thursday at Locke Funeral Home, Waterloo, where visitation begins at 4 p.m.